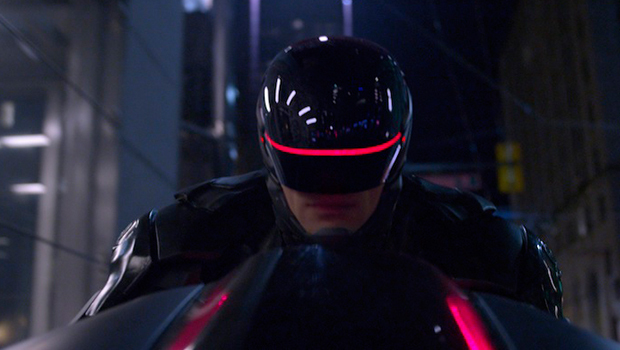 "RoboCop": When Will Cyborgs Walk Among Humans? In this month's reboot of the classic "RoboCop" film, scientists create a superhuman crime fighter that is half-man, half-robot — a human outfitted with a robotic exoskeleton and whose brain is programmable like a machine. But although such Frankenstein-esque lab experiments make for good Hollywood entertainment, being able to create a real cyborg is still more in the realm of science fiction — at least for now, experts say. "RoboCop" — which stars Joel Kinnaman, Gary Oldman, Michael Keaton and Samuel L. Jackson — opens in theaters nationwide Wednesday (Feb. 12). In the movie, policeman Alex Murphy (played by Kinnaman) is critically injured on the job and is selected for an experimental robotic law-enforcement program, masterminded by a multinational corporation with the nefarious aim of selling militarized robot soldiersto domestic, civilian law-enforcement agencies. Although the fields of robotics and artificial intelligence have made significant gains within the past 15 years, do not expect to see RoboCops walking among humans in the near future, said Charles Higgins, an associate professor of neuroscience and electrical engineering at the University of Arizona in Tucson. "We have devices now that will allow somebody with amputated legs to walk, where you lean forward and one foot steps forward," Higgins told Live Science. "The next step is to have an interface that allows you to control the limbs from the brain. To enable somebody with amputated limbs to walk and move their arms — this is probably 50 to 70 years down the road." Robot designers go ape over "Charlie"
Researchers at MIT; the U.S. Army Research, Development and Engineering Command (RDECOM); and other businesses and academic institutions are developing a high-tech suit of armor that could endow wearers with superhuman strength and protection from bullets. The suit, known as the Tactical Assault Light Operator Suit, or TALOS, is reminiscent of the fictional armor worn by Tony Stark in the "Iron Man" movies, except researchers have yet to figure out how to efficiently power the suit. The first prototype will likely be powered by a lot of heavy batteries or a large pump for a hydraulic system. "That's much farther off," he said. "Just giving people the ability to get around, go to work and have a normal job would be a huge step forward. To make people supersoldiers that can do everything humans can do and more — that is a lot further away." In Higgins' lab, scientists are building robots that incorporate the sensory systems of living insects, such as dragonflies and moths, into machines. The ability to interface brains with artificial devices is giving rise to a burgeoning field of biorobotics, which could revolutionize how prosthetics are made in the future, Higgins said. Yet making the leap from insects to humans will be extremely challenging, Higgins said. "There's a stumbling block with interfacing with the brain and nerves," he explained. "The human brain is very complicated, and our ability to understand how everything is controlled is not that sophisticated. It's actually pretty primitive, and we're certainly not up to 'RoboCop' standards yet." More fundamental research will be needed to demystify the human brain, and initiatives like President Barack Obama's $100 million Brain Activity Map (BAM) project, which aims to monitor up to a million neurons at a time to better understand how brain networks function, should help, Higgins said. "We have a lot of little data points, but we don't have the overall picture," he said. "This big initiative is meant to stimulate our understanding of how the brain works, how motor control works and what the basis of cognition is. My hope is that this initiative will lead to some fundamental understanding, but we're talking about 50 years of basic research, not five. Still, once we understand the brain's overall function, then we can start making huge leaps." Nonetheless, advances in technology can sometimes outpace even people's own imaginations, said Jason Silva, a futurist and host of National Geographic Channel's "Brain Games" television series. "When we make predictions about change, we tend to do so in a linear pattern, but with technology, these things evolve at exponential rates," Silva told Live Science. He said a future where robots and humans work together on everyday tasks may not be as far off as people think. "I think within 20 years, we'll have humanoid robots assisting us in all kinds of ways," he said. "People with disabilities will benefit from these technologies, we'll see a lot more robotics in the military, robots will be in cars — I think these changes will happen so much faster than people anticipate." And once the cyborg-type technology showcased in "RoboCop" does emerge, the line between humans and robots may blur even more in the future, he added. "We'll use these tools and technologies as scaffolding to redefine the boundaries of our humanness," Silva said. "We didn't stay in the cave, we haven't stayed on the planet, and soon — with robotics and biotechnology — we're not even going to stay within the boundaries of biology." Follow Denise Chow on Twitter @denisechow. Follow Live Science@livescience, Facebook & Google+. Original article on Live Science.